Bee class opening the hive with Peter Cowin. 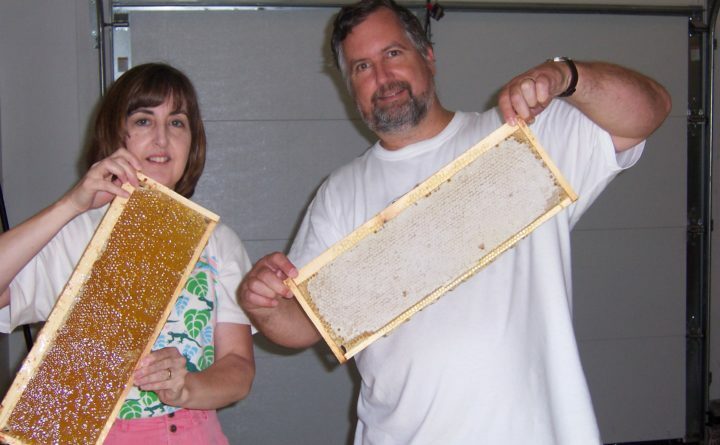 Frames of honey capped on right and with caps removed on left. Installing the bees into the Hampden Academy beehives. Peter Cowin and daughter-in-law Gabby Cowin at The Bee Whisperers Apiary, 236 Main Road, South Hampden. 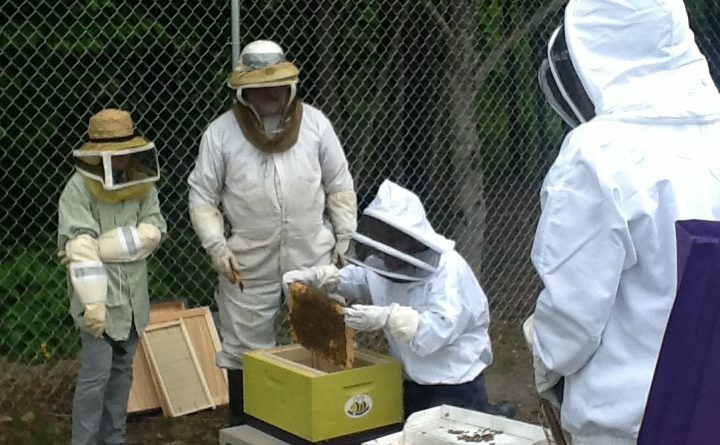 The bitter winter weather which welcomed in 2018 has taken a toll on Maine’s honeybee population. In most years, the parasitic varroa mite accounts for the majority of honeybee losses. This year has been different with an unusually large number of hives being lost to an extended period of brutally cold weather from Christmas to mid January. Small hives with relatively low populations of bees are particularly vulnerable to the cold. Those thinking about starting their own honeybee hives for the first time are well advised to seek the advice of experienced beekeepers. For those who then want to start beekeeping Peter also has bees and beekeeping equipment for sale. “I carry a full range of conventional beekeeping equipment. Each year I am adding new products that may help the beekeeper to improve yields or survival over the winter. 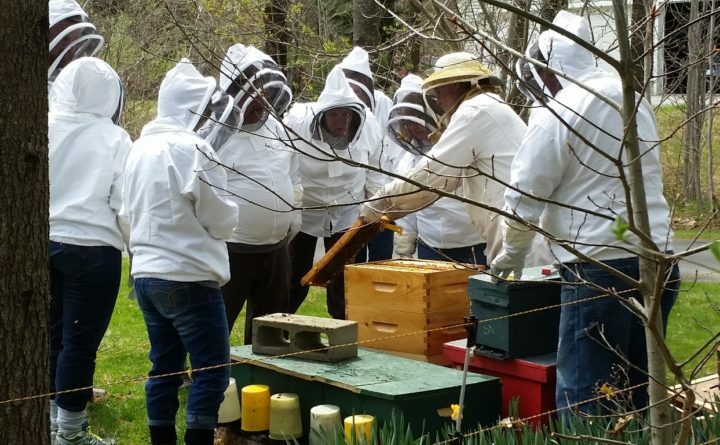 In April and May Peter brings in hundreds of packages of bees with queens from southern states to stock new hives or to restock those that did not make it through the winter. In May and June, he also sells nucleus colonies (nucs) which are small established bee hives with 5 combs of bees, honey and brood. Call the appropriate number to register for one of Peter’s classes in Adult Education or at the Bee Whisperer Store in Hampden.